A lovely carpet that looks closer to an inside carpet than most outdoor/indoor carpets. Colors not quite as vibrant as picture. Took a few times of turning the corners under to get it to lie flat, but to be expected. Nicely packed for shipping. Lovely addition to a utility entry way. 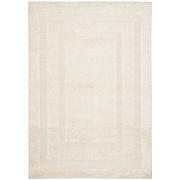 I purchased this rug in charcoal in a 7X7 square for a closet I had built. The closet color is gray and it's a perfect match. It's absolutely beautiful, high quality, and I would definitely recommend the purchase. 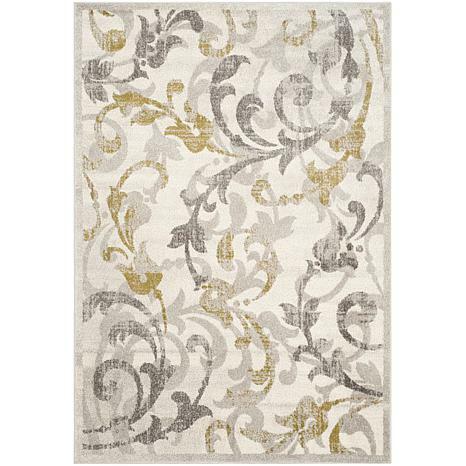 Disappointed this rug looks gold in grey or silver tones got it and its green and dark gray. Sending back waiting for return labels from hsn.